Most of the time when we drive, we don’t give street signs a second look – that’s where Greater Baton Rouge Signs comes in! We can help you design eye-catching and durable signage that will get your location noticed. 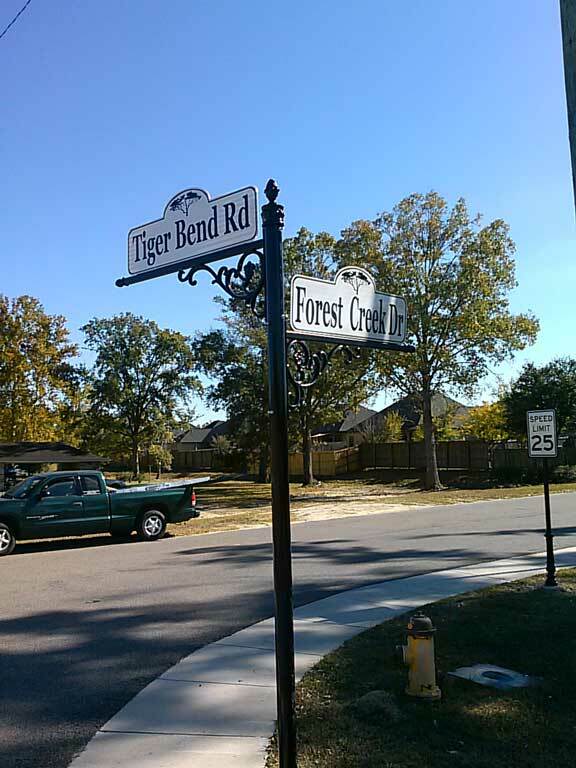 Decorative street signs are a fun and simple way to upgrade any area’s appearance. We buy wholesale, which means that our savings get passed on to you. You never have to worry about making a trip to our location: we will always come to your site, saving you time and money. Our posts are aluminum powder coated, but we use real cast iron bases and finials for our signs so they can withstand any weather. We’ll work with you to lay out the design you desire and give you helpful tips to maximize visibility. Best of all, we’re quick! It typically takes two weeks or less for us to complete your signs. Don’t underestimate the influence that attractive street signs can have on your community. 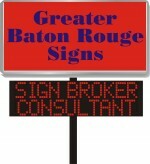 Call Greater Baton Rouge Signs today for a sign selection experience unparalleled in speed and professionalism. Click here to view our Decorative Street/Traffic Signage photo gallery!